The JSON-LD script elements can appear anywhere in a document, not just the head. 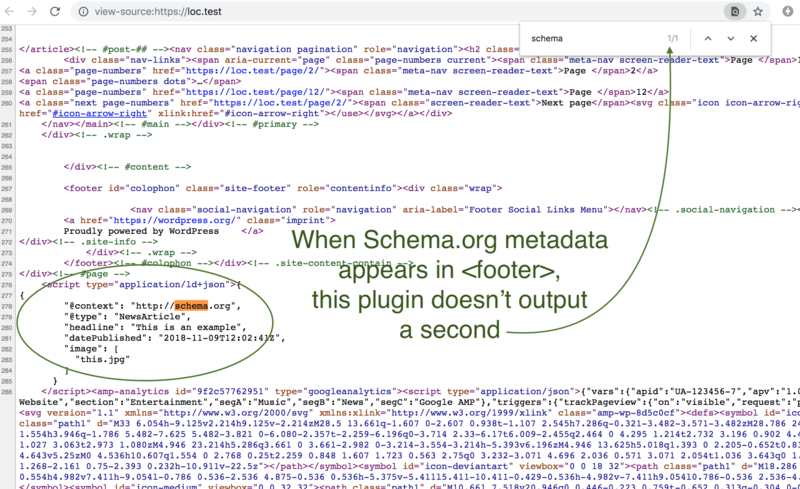 This fixes the detection to account for that so that when another plugin outputs Schema.org metadata, the AMP plugin won't output a duplicate. And if the metadata isn't already present, the plugin still outputs it like before.